Antalya, Greece, Spain, Portugal and Romania, were the most sought-after destinations in Paralela 45 tour operator in the 2018 season, whose sales increased by 25 percent in the first nine months of the year and are expected to reach an annual turnover of EUR 60 million. 2018 was the year with the most charter flights to Antalya, a 10-week passage, starting from Bucharest, Cluj-Napoca, Timisoara, Iasi and Targu Mures, but also to Alanya, once a week, introduced this year, to shorten the transfer times to Side and Alanya. 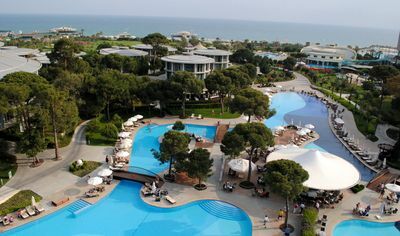 ”It was the Antalya year, with a 120 percent increase in sales over last year. More than 18,000 of our customers went on holiday on the Turkish coast. Next year we will have at least six weekly charter flights in Bucharest and all over the country and we estimate a 20% increase in demand. We recommend that tourists take advantage of the discounts offered by our Turkish partners during the Early Booking period, ”says Alin Burcea, the owner of Paralela 45. The Greek islands, offered by the tour operator, to which Samos and Lesbos have added this summer, have increased up to 15 percent compared to 2017 at a 98 percent charter rate, while the demand for holidays in Spain, Portugal, Italy, Cyprus was 10 percent higher. 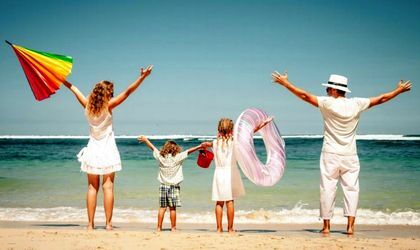 In the case of domestic tourism, thanks to holiday vouchers granted to the public in 2018, the demand for holidays increased by 60 percent compared to last year. The average value of a charter stay was EUR 650/person. Approximately 10 percent of tour operator customers, 30-65 year-olds with over-average income and familiar with booking and/or online payment methods, preferred to buy through the web platform. Their percentage could rise next year to 12 percent to 15 percent. Autumn and winter are the most popular holidays in the Paralela 45 circuits, with over 120 itineraries on six continents by plane or coach, whose sales share doubled in 2018, those in Lapland, for which the tour operator organizes for the third consecutive year charter flights before and during Christmas, and the exotic ones. ”More than 300 Romanians go to Santa Claus country this year. Holiday packages were launched in July, when some of the tourists did not even make their summer holidays and were rushed to reserve places for Rovaniemi or Levi. Lapland is the pleasure of children and adults because, in addition to having a Santa Claus meeting, they have the chance to go for a snowmobile, go for a husky safari, visit the ice hotel, and finally receive the Crossing Circle Diploma, ”says the owner of Paralela 45. The Antwerp, Dubai, Cyprus, Maldives, Singapore and Bintan Island, Singapore and Malaysia, Thailand, are priced for the New Year’s Eve when sunny destinations are held, with rates ranging from EUR 543/person. Besides, tourists can choose holidays in major European cities or tours in Jordan, Israel, Tunisia, India with rates ranging from EUR 225 and up to EUR 1,630/person with all taxes included.